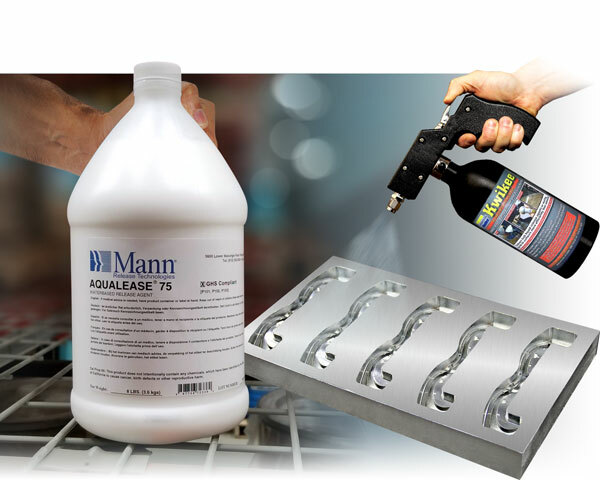 Mann Formulated Products offers the following quality mold releases for all your processing requirements. The Ease Release line of mold releases offers formulations developed for high volume industrial applications. Model and pattern release agent for making epoxy, urethane and platinum cured silicone molds. Produces satin finish. Excellent release agent for casting polyurethane elastomers and epoxy resins. Features low build-up and paintable castings after proper cleaning. Superior release for cast polyurethane elastomers with excellent gloss. Not paintable. Designed to release polystyrene, polyethylene, wax, synthetic rubber, acrylics, phenolic, melamine and metal castings from aluminum, chrome, epoxy, polyester, rubber, and steel molds. Production proven solvent-based soap release agent for the RIM processing of both microcellular and rigid urethane elastomers. 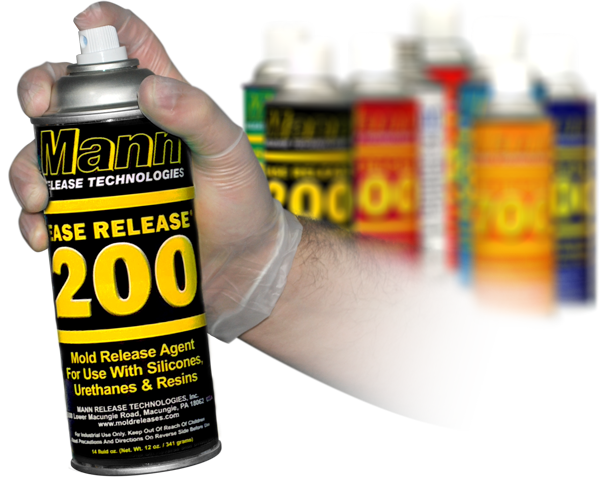 Wax based release agent for urethane elastomers and foam. Temperature Range: 150-230°F (65-110°C). Room temperature release agent-sealer on plaster molds. Superior release agent for casting complex designs using polyurethane elastomers. This product also releases compression molded Thiokol rubbers, EPDM and other synthetic elastomers. General purpose mold cleaner for metal molds. For cleaning mold release and polymer residues. Solvent Free, Non-Hazardous. A truly effective line of water based release agents that address both process performance and environmental compliance. Aqueous silicone release agent. Ready to use version of Aqualease 75. Silicone concentrate for polyurethane elastomer molding. Dilution ratio with better release and reduced build-up.